Chitvan. Satona,Saptparna. Vishamachhada,Dita,Alstonia Scholaris R. Br. Latin Name:Alstonia Scholaris R. Br. 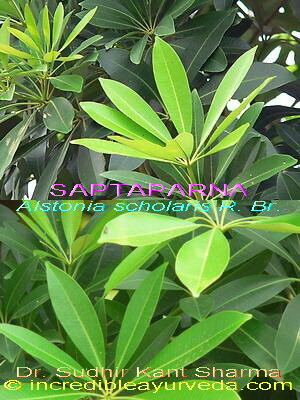 Medicinal Properties:Bark of Saptaparna is used in various Ayurvedic formulations. The lepa (paste) of bark is applied topically in chronic ulcers of skin. It is given as postnatal conditions to mothers for increasing lactation, to improve digestion and to help in post delivery weakness. It also increases digestive power and is also given in fever as an antipyretic. It has been used in various Ayurvedic formulations meant for liver disorders, indigestion, dysentery, worms, fever, asthma and chronic cough. 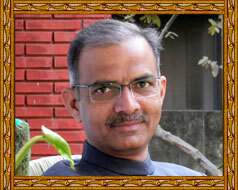 It is an effective blood purifier and cardiac care herb also.